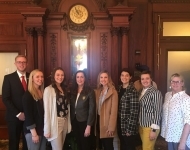 April 9, 2019 – Students and staff from Luzerne County Community College visited with legislators including Sen. Baker as part of Pennsylvania Community College Lobby Day at the Capitol. 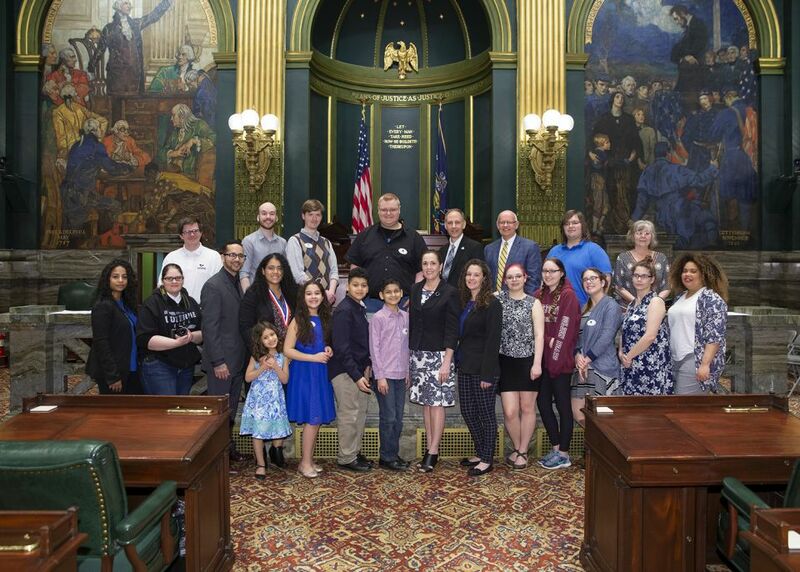 The students demonstrated educational excellence and showcased their workforce-readiness skills. 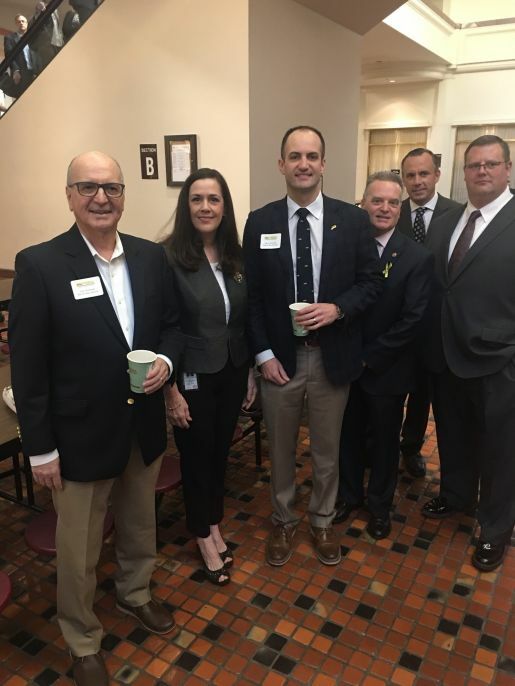 April 8, 2019 - A group of prosecutors visited the Senate on April 8 as part of their legislative outreach efforts with the Pennsylvania District Attorneys Association. 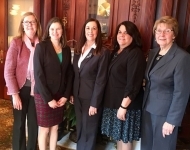 They met with Sen. Lisa Baker, the chair of the Senate Judiciary Committee, to discuss pertinent issues. 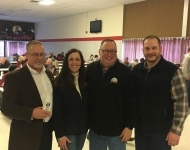 From left, Pike County District Attorney Ray Tonkin, Sen. Baker, Luzerne County District Attorney Stephanie Salavantis, and Michael Piecuch, the Snyder County District Attorney. 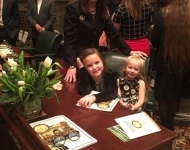 March 27, 2019 - Veronica Miller served as a guest Senate page and shadowed Sen. Baker for the day. 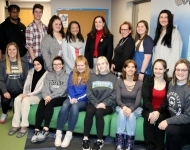 She was diagnosed with Hodgkin’s Lymphoma and decided to take a year off between high school and college to complete chemotherapy treatments and concentrate on recovery. 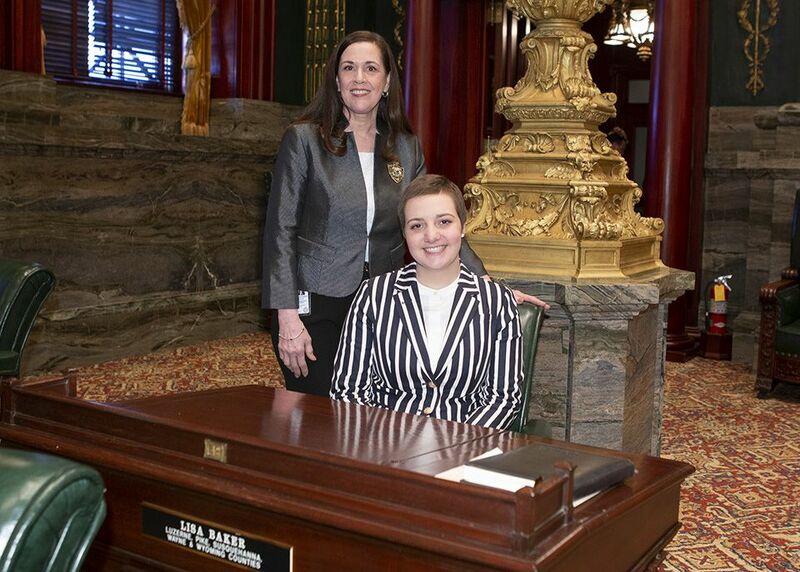 She is planning to attend Harrisburg Area Community College in the fall to pursue a nursing degree. 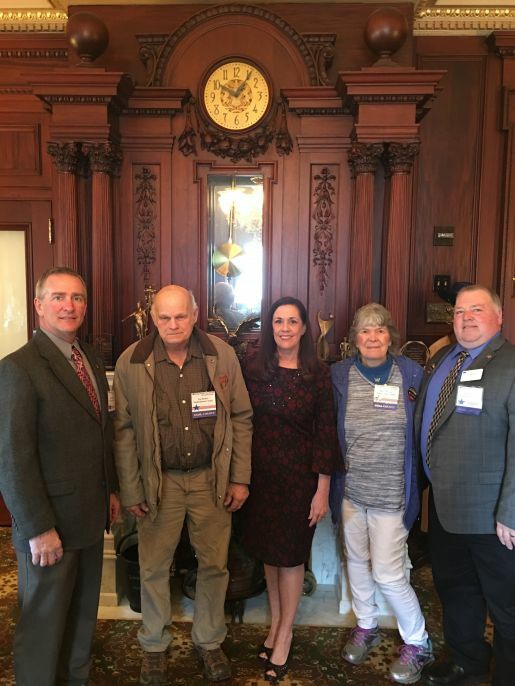 March 27, 2019 – Sen. Baker met with several local members of the PA Farm Bureau who were in Harrisburg for the annual Farm Bureau conference. 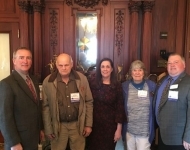 The farmers included, from left, Bob Rutledge, with the Wayne/Pike Farm Bureau, Joe Decker from Susquehanna County Farm Bureau, Sen. Baker, and Kim and Jim Barbour, also from Susquehanna County. 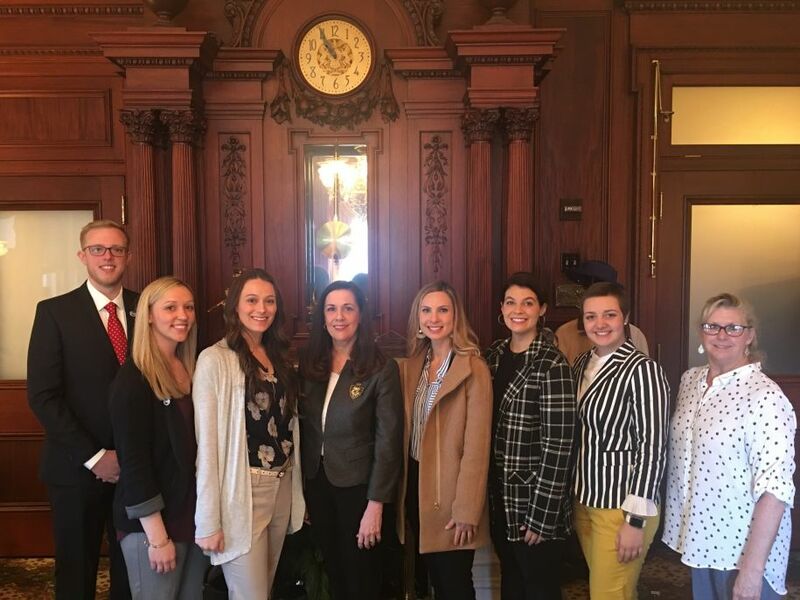 March 26, 2019 - Nurses and students representing the Pennsylvania Association of Nurse Anesthetists met with Sen. Baker as part of their 2019 Legislative Action Day in Harrisburg. 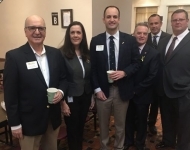 March 26, 2019 - Joining members of the Pennsylvania School Bus Association for some coffee and conversation at their 2019 legislative breakfast. 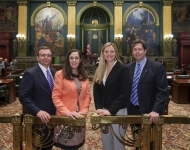 The senator thanked them for promoting school bus safety. 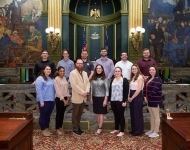 March 25, 2019 – Misericordia University Professor Luke Williams’ Political Science class spent some time with Sen. Baker on the Senate floor during their trip to Harrisburg. 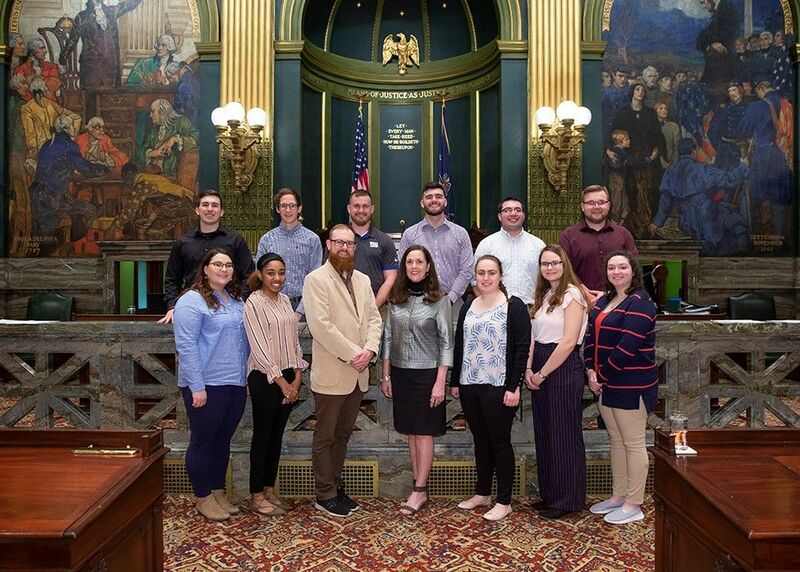 Pictured, front row, from left, are: Jourdaine Newhart, Hop Bottom; Gardyney Deshommes, Blandon; Professor Williams; Sen. Baker; Alexandra Zielinski, Staten Island, N.Y.; Hunter Glidewell, Benton; and Lauren Robbins, Pittston. 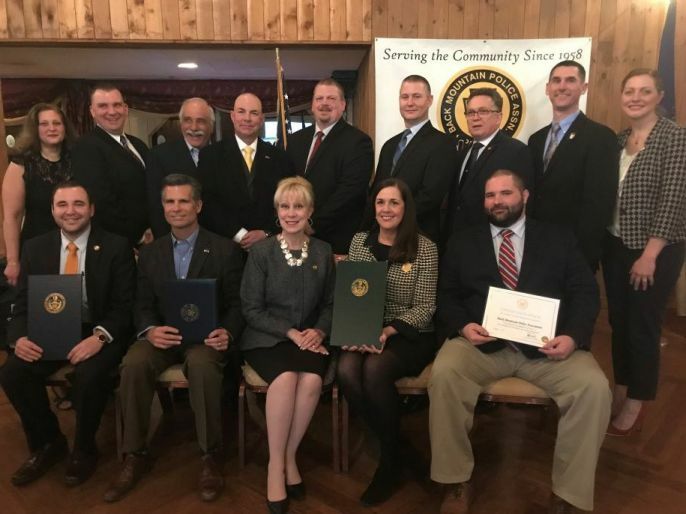 Back row, from left, are: Kristopher Rosencrans, Shavertown; Christopher Sabol, Shavertown; Brett Stage, Dalton; Alexander Frear, Factoryville; Frank Wojtash, Plains Township; and Alexander Zelna, Falls. 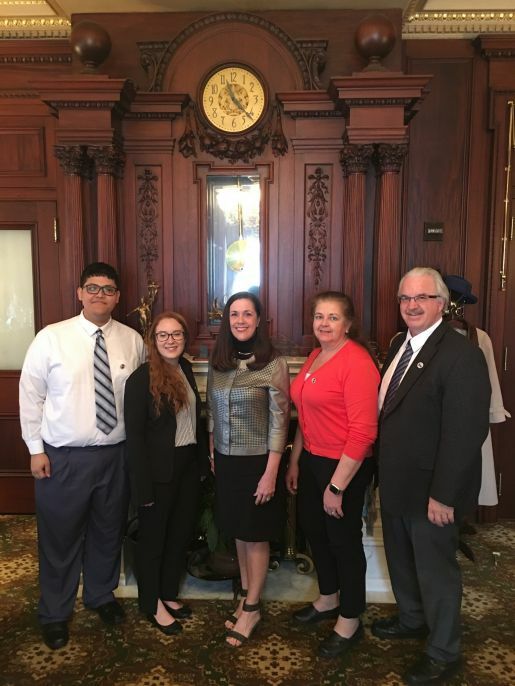 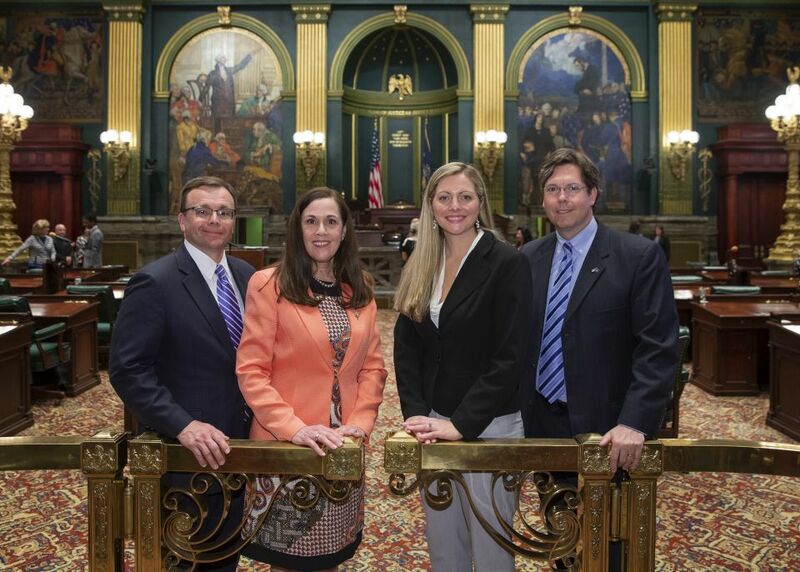 March 25, 2019 – Sen. Baker met with Dr. Dave Evans and Dr. Gail Evans, from Evans Eye Care in Dallas, along with Pennsylvania College of Optometry at Salus University students Mackenzie Biggers and Fernando Aquilar during the PA Optometric Association’s advocacy day at the capitol. 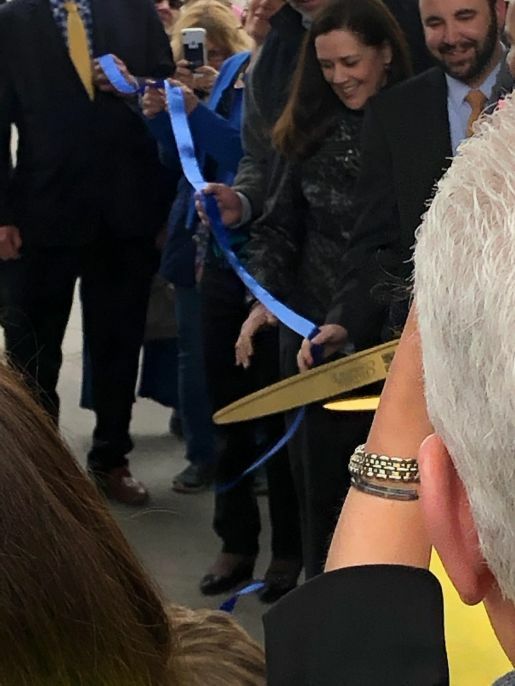 March 24, 2019 – Sen. Baker, Rep. Aaron Kaufer and others helped cut the ribbon marking the grand opening of the Sidney and Pauline Friedman Jewish Community Center in Kingston. 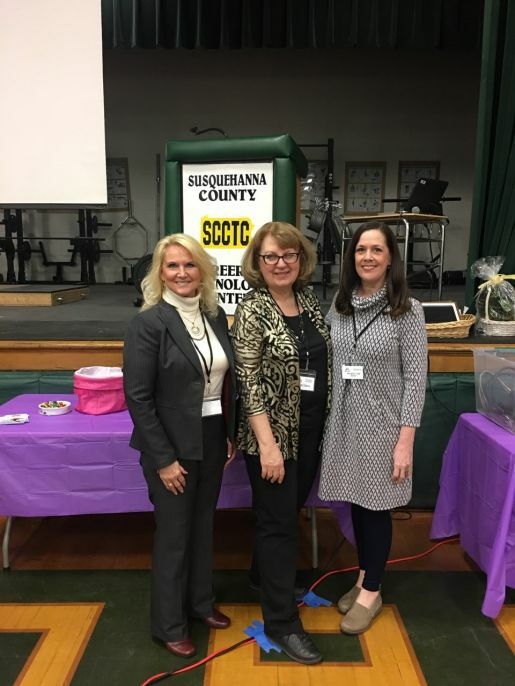 March 23, 2019 – Sen. Baker spoke at the Endless Mountains Empowerment Summit held at Elk Lake Junior/Senior High School in Springville. 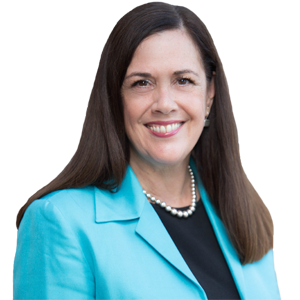 She told those gathered that successful women, holding their own and making their mark, is not a recent phenomenon. 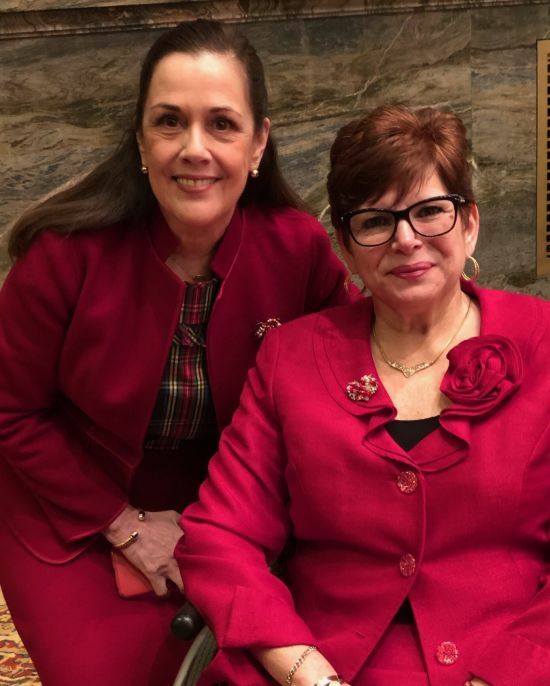 As we seek to empower women today, we should recognize the women who have been important pioneers during our American experience. 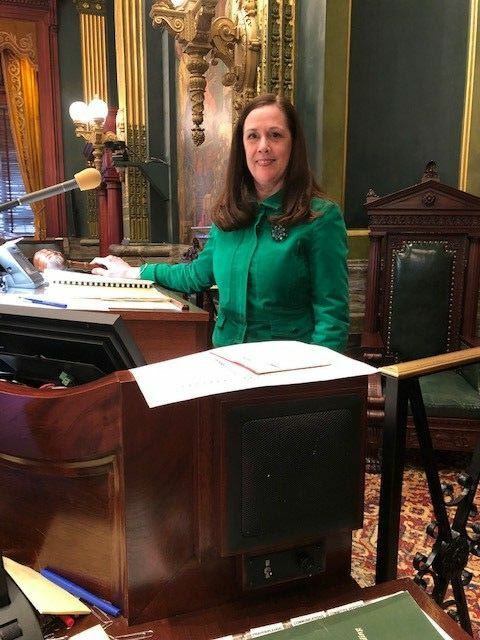 March 18, 2019 – For the first time in her tenure, Sen. Baker was asked to serve as the presiding officer of the Senate. 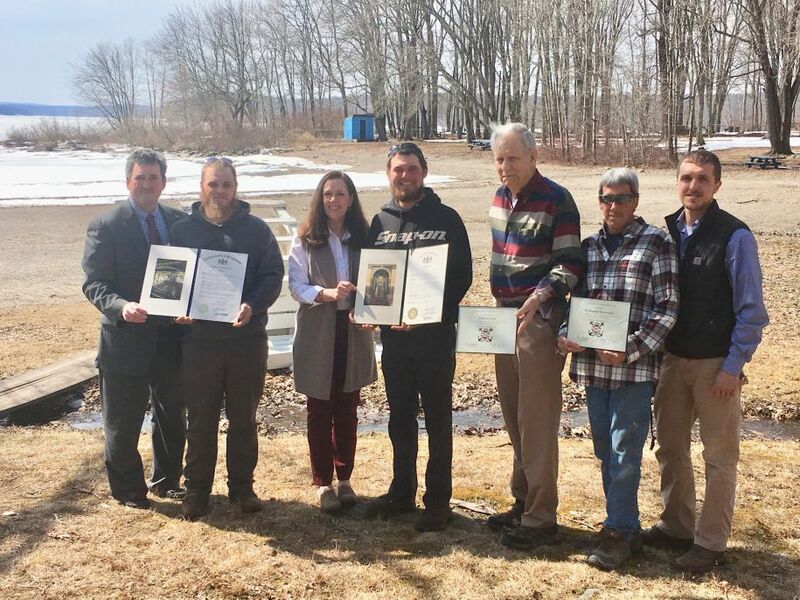 March 14, 2019 - Rep. Mike Peifer, Christopher Garavaglia, Sen. Lisa Baker, Joshua Kalin, President of the Tafton Fire Co. Gary Shepard, Tafton Dive Team Captain Richard Groo, Jr. and Nick Spinelli, a Tafton Dive Team lieutenant, stand on the shores of Lake Wallenpaupack. 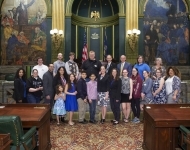 Kalin and Garavaglia were being honored by the legislators and dive team for their roles in six lake rescues on Feb. 2. 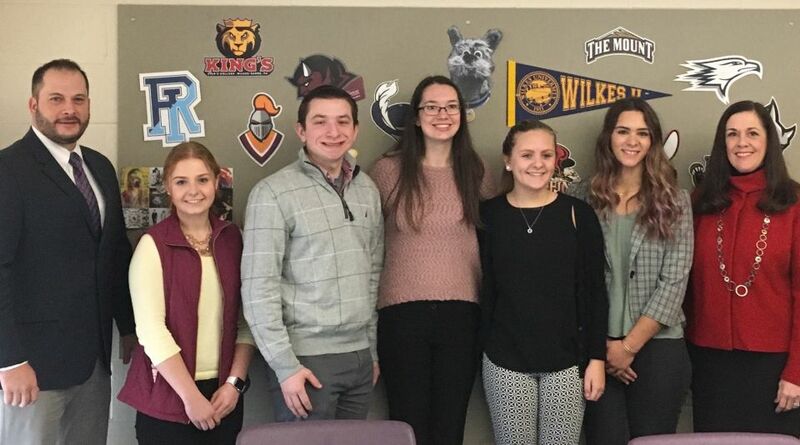 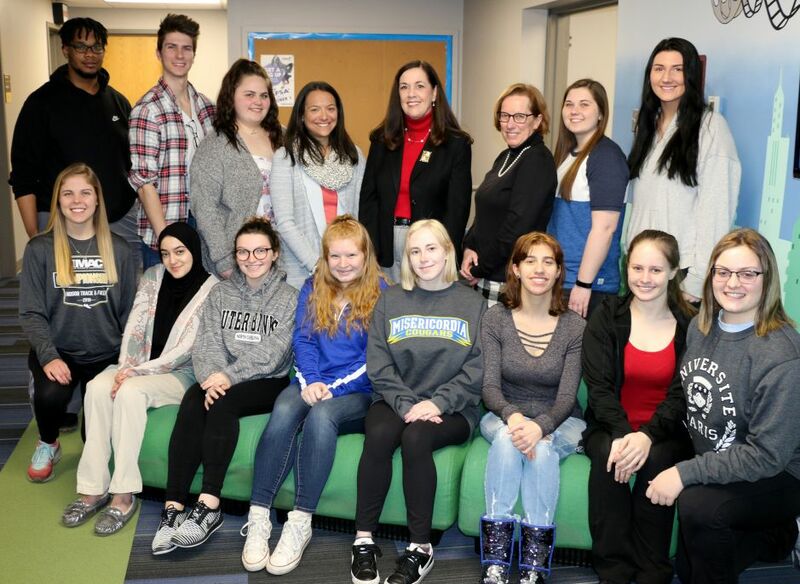 March 12, 2019 – Sen. Baker spent some time speaking to the students in Carly Ellman's Social Welfare Policy & Services Class at Misericordia University. 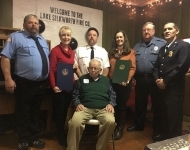 February 22, 2019 – Celebrating the 60th anniversary of the Back Mountain Police Association. 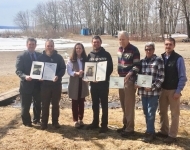 Sen. Baker, U.S. Rep. Dan Meuser, Reps. Karen Boback and Aaron Kaufer and Frank Mazza from U.S. Sen. Pat Toomey’s office were all on hand to present proclamations and offer their gratitude. 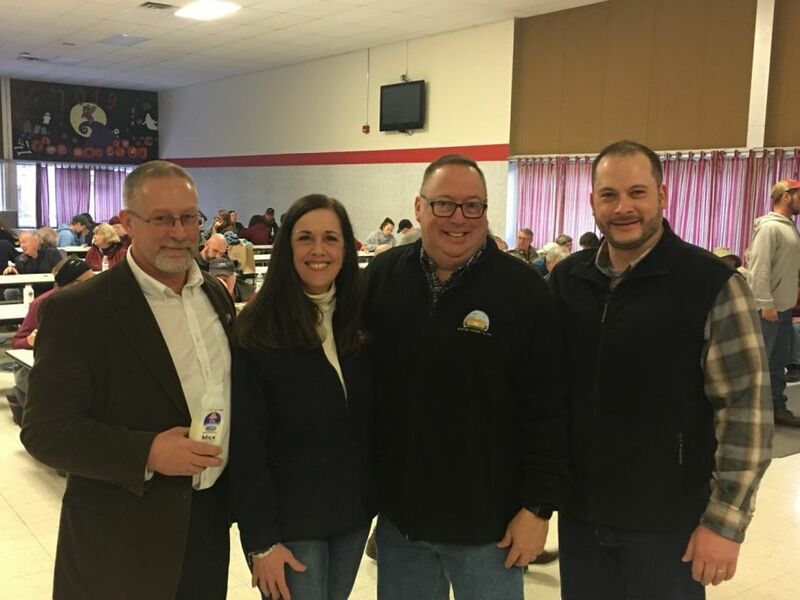 February 18, 2019 – Sen. Baker and Rep. Jon Fritz joined Wayne County Commissioners Brian Smith and Joe Adams at the annual Wayne County Ag Day event at the Honesdale High School gymnasium. 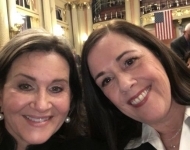 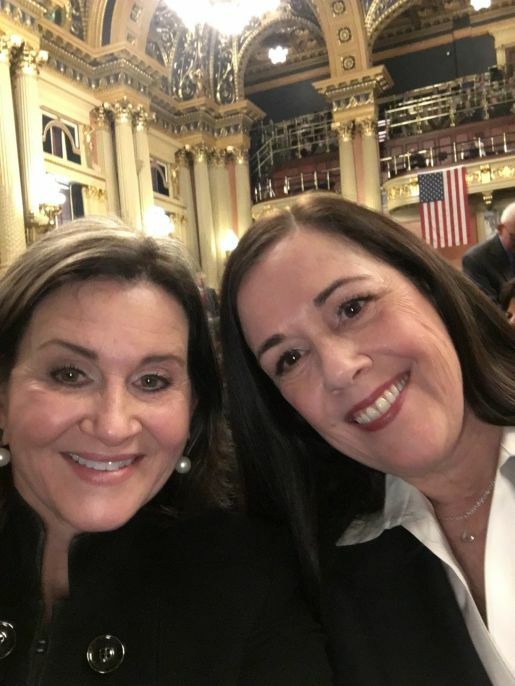 February 5, 2019 – Sen. Baker and Sen. Kim Ward take a quick selfie from the floor of the House after the governor’s budget address. 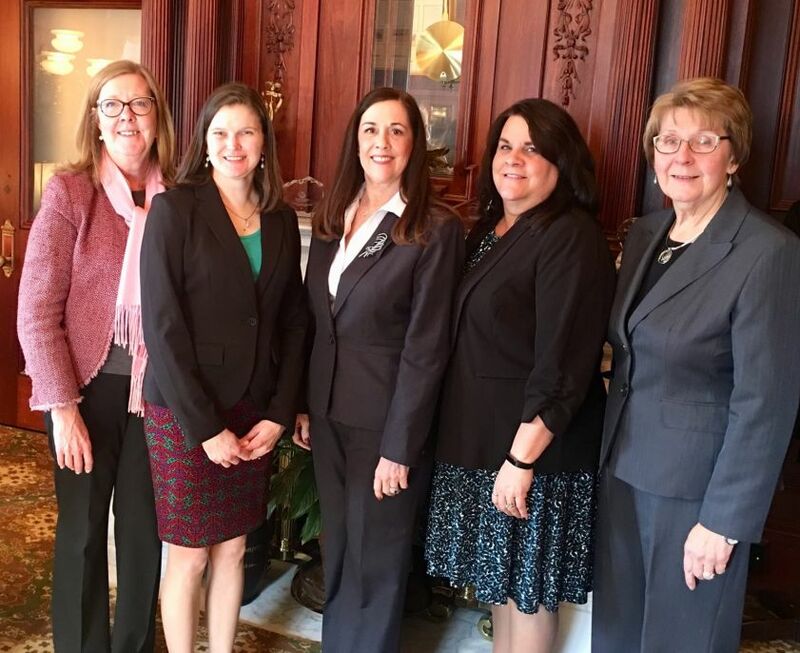 February 5, 2019 – Sen. Baker met with several members of the Crime Victims Alliance of Pennsylvania in her Harrisburg office to discuss several issues and initiatives. 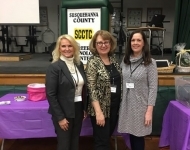 She met with Julie Dugery and Deanna Weaver, co-chairs of the alliance’s Legislative and Policy Committee, Carol Lavery, past chair of alliance, and Karen Hinkle, current chair of the alliance. 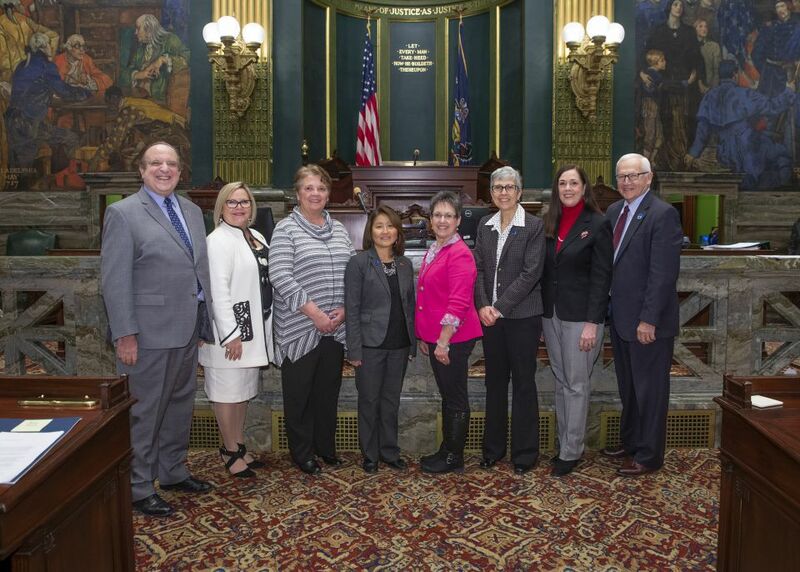 February 4, 2019 - Several cardiac and pulmonary rehabilitation nurses and specialists, each of whom serves on the board of the Tri-State Society for Cardiac and Pulmonary Rehabilitation, a multi-disciplinary professional association that serves Delaware, New Jersey and Pennsylvania, were in Harrisburg to meet with legislators to discuss the importance of cardiac and pulmonary rehabilitation. 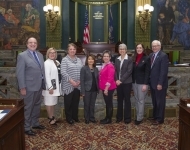 Pictured on the Senate floor, from left, are: Sen. Andy Dinniman, D-19; Sen. Judy Ward, R-30; Vicki Krebs, from Evangelical Community Hospital in Lewisburg; Ruth Akers, from Bryn Mawr Hospital/Main Line Health in Newtown Square; Denise Sheffield, from J.C. Blair Memorial Hospital in Huntingdon; Nadine Greco, from Wayne Memorial Hospital in Honesdale; Sen. Lisa Baker, R-20; and Sen. Gene Yaw, R-23. 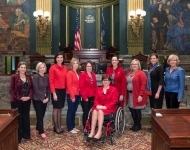 January 30, 2019 – Along with Sen. Christine Tartaglione, Sen. Baker wore red at the Capitol to raise awareness of preventing heart disease and strokes for women. 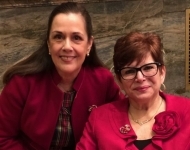 January 30, 2019 - Cardiovascular diseases continue to be a woman’s greatest health threat, but nearly 80 percent of cardiac events can be prevented. 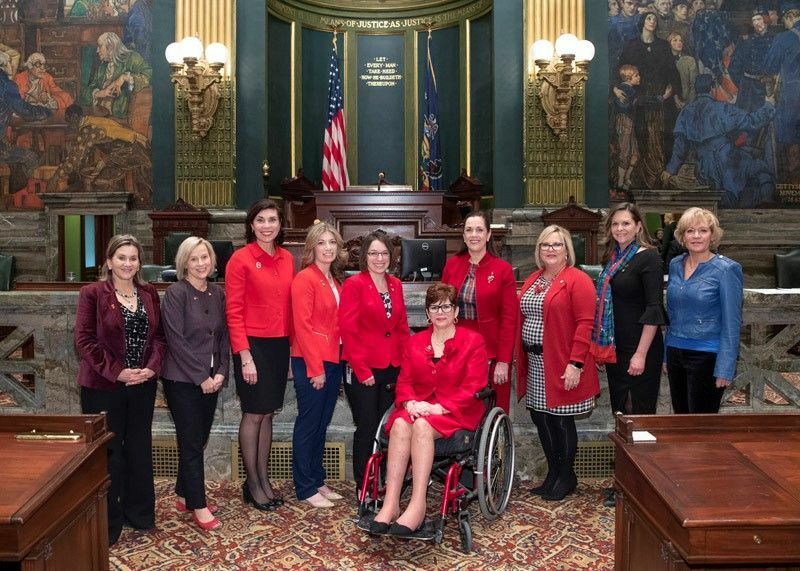 Sen. Baker and her female Senate colleagues are standing together with the American Heart Association for Wear Red Day to help raise awareness and prevent heart disease and stroke. 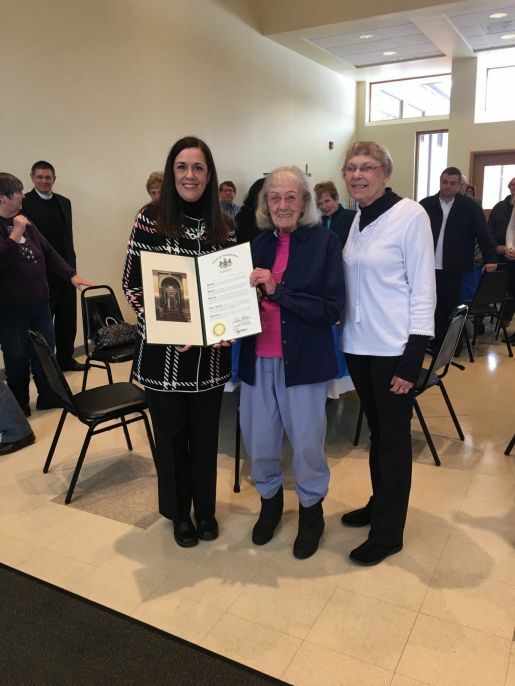 January 27, 2019 – Sen. Baker helped Bea Pritchard celebrate her 100th birthday along with Bea’s daughter Judy Loeffler and the congregation at St. Paul’s Lutheran Church in Dallas. 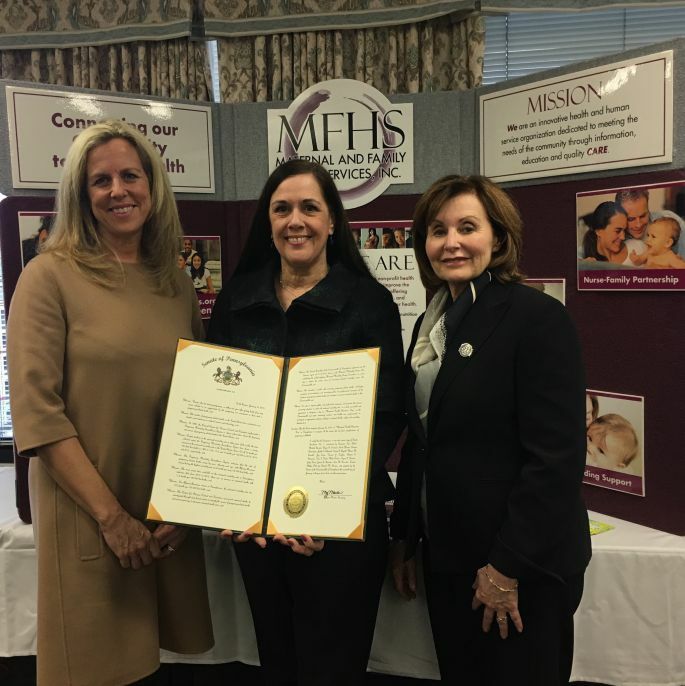 January 23, 2019 - Sen. Baker marked Maternal Health Awareness Day by joining The American College of Obstetricians and Gynecologists Pennsylvania Chapter President Dr. Lynne Coslett-Charlton and Maternal and Family Health Services Inc. CEO Bette Saxton at an event in Wilkes-Barre. 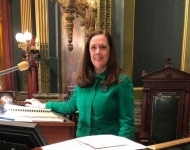 Sen. Baker presented the resolution she sponsored designating the day across Pennsylvania. January 19, 2019 - Sen. Baker and Rep. Karen Boback were on hand to wish Lake Silkworth Volunteer Fire Department President Don Kivler a very happy 90th birthday and to recognize his five decades of active service to his community. 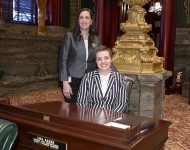 The fire company is based in Lehman Township, Luzerne County. 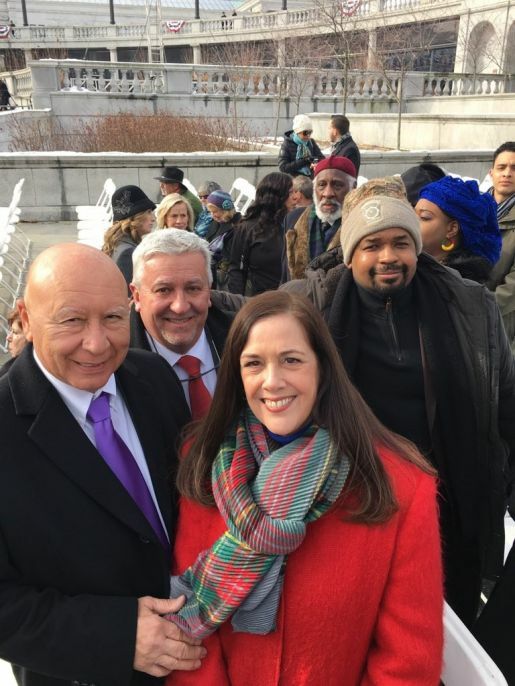 January 15, 2019 – Attending the governor’s inauguration ceremony at the Capitol, along with Sens. 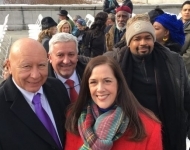 Mario Scavello, Mike Folmer and Sharif Street. 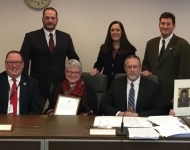 January 10, 2019 – Sen. Baker joined state Reps. Jonathan Fritz and Mike Peifer and Wayne County Commissioners Joe Adams, Brian Smith and Wendell Kay to honor retiring Wayne County Human Services Administrator Andrea Whyte during a ceremony in Honesdale. 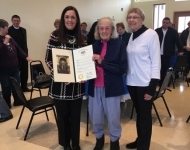 Whyte, of Palmyra Township, Wayne County, retires after 45 years of employment with the county. 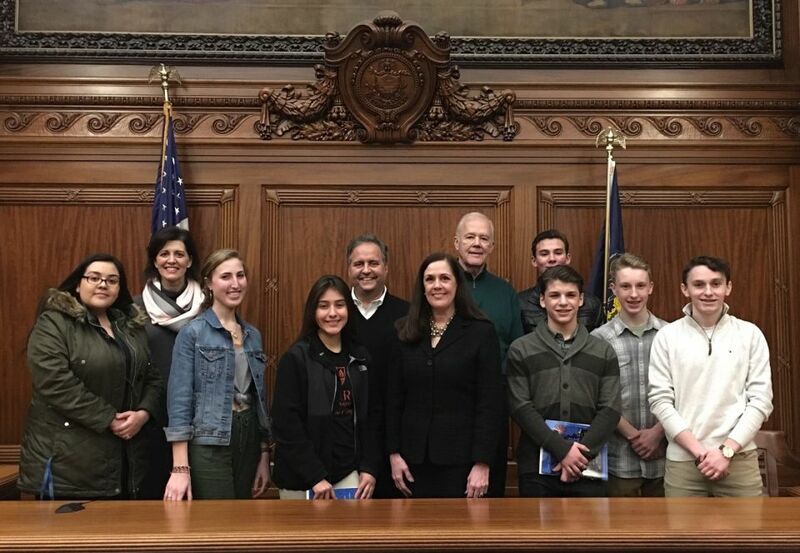 January 9, 2019 – Members of the Forest City Regional High School FBLA conducted an informative tour for Sen. Baker and Rep. Jonathan Fritz and showed off the renovations made at their school. 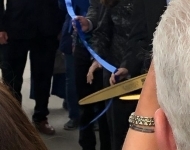 New technology and expanded classrooms offer better opportunities for learning. 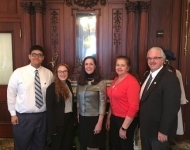 And Johnson College is working as a partner to bring technical and workforce training to students and adult learners in this part of Susquehanna, Wayne and Lackawanna counties. 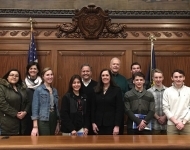 January 8, 2019 – Sen. Baker was invited to the Luzerne County Courthouse by Judge Jennifer Rogers to be a guest speaker for the Law & Government Explorer Group. 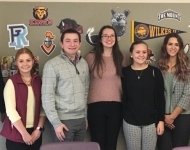 The students, ranging from freshman in high school to freshman in college, are all interested in careers in law or government. 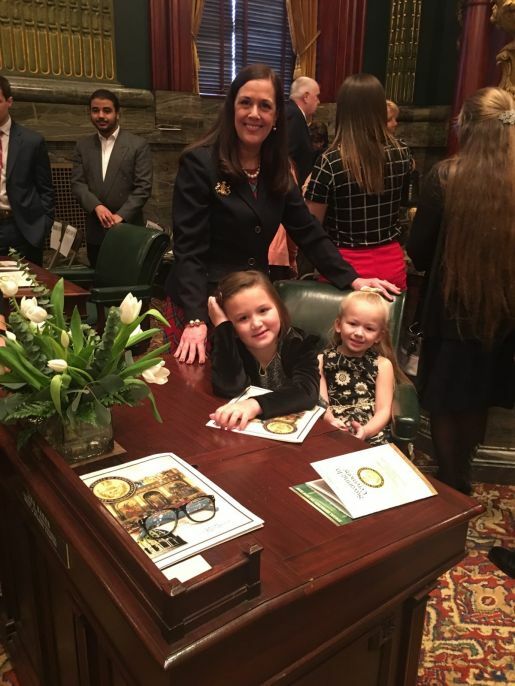 January 3, 2019 – Awaiting the Senate swearing-in ceremony to begin, Sen. Baker takes a moment to share her desk with Cora and Iva Kukosky of Lehman Township, who came down to Harrisburg to celebrate the senator starting her fourth term in office.